Book 'Without Borders' By 80+ Artists Lets Kids Color Outside The Lines Children are invited to use their imaginations to fill in the blanks in Coloring Without Borders. 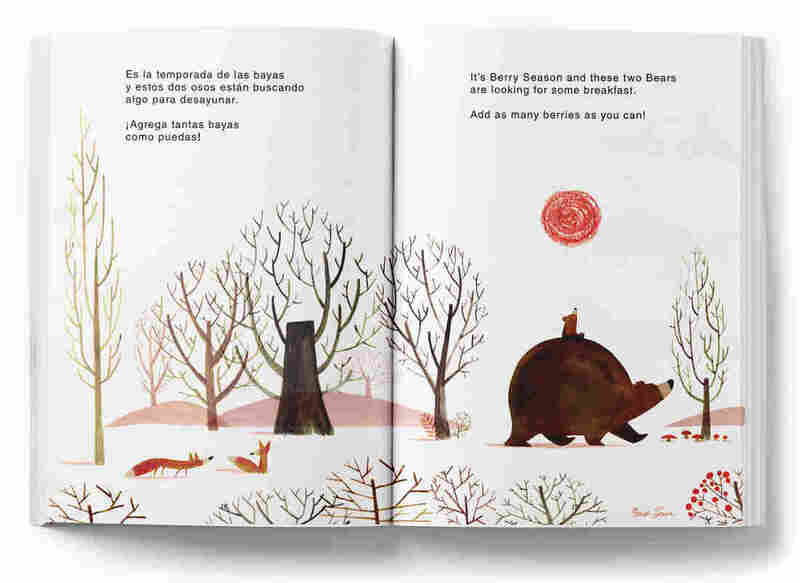 The bilingual book was created to help immigrant families separated at the U.S.-Mexico border. 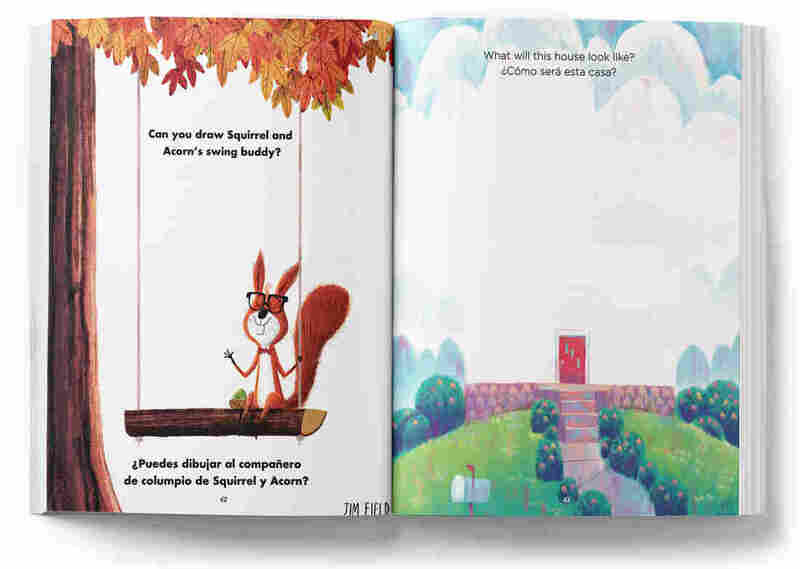 Coloring Without Borders — a book featuring contributions from more than 80 artists — invites kids to fill in the blanks. Young artists can draw a friend for Jim Field's Squirrel (left) or finish Max Ulichney's house (right). Imagine a world without borders ... and a coloring book without lines. That's the idea behind Coloring Without Borders, a new bilingual kids book, created to help immigrant families separated at the U.S.-Mexico border. 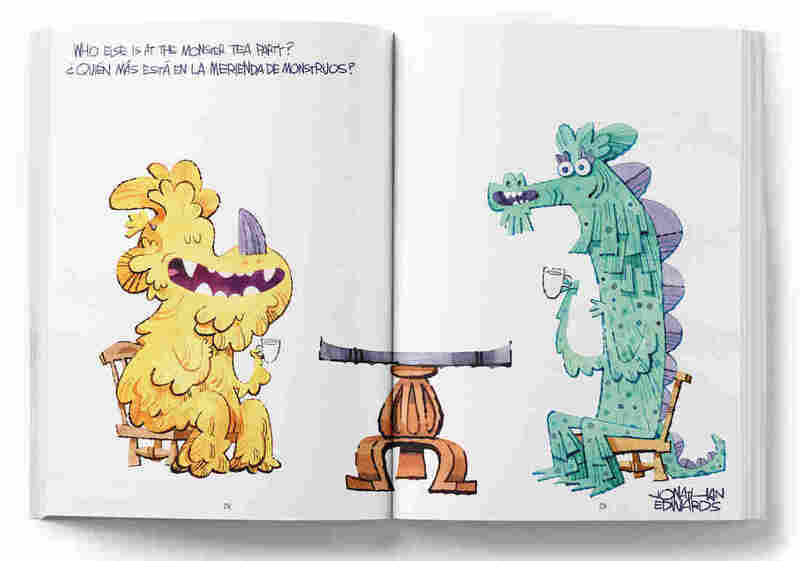 The book is full of colorful images, in a wide variety of styles, with plenty of blank space to spark young imaginations. What is in the whale's tummy? Who else attended the monster tea party? What kind of furniture would you find in an ant's house? With prompts in English and Spanish, children are invited to complete the pictures themselves. Christian Robinson is one of more than 80 artists who contributed to the book, curated by Jennifer Sofio Hall. The proceeds from the book go to the Families Belong Together coalition. "I was feeling troubled by the headlines and the images that I was seeing of families being separated and children being detained," Robinson explains. "I was feeling like our country could be doing better, but I wasn't really sure of what I could be doing." Hall's email about the collaboration came at just the right time. "I saw her invitation ... as a way for me to get involved and help ... " he says. "I know, for me, personally, that it's important to reflect the times that we live in — to put a mirror to it. It's almost like I couldn't create without taking into account all the things that are happening around me." Robinson chose to focus on the theme of freedom for his contribution. He's drawn one bird flying out of a cage ... and invites children to draw other birds to join the flock. He wanted to provide a space where kids could imagine "all these birds just flying, and being free from the thing that was holding them." 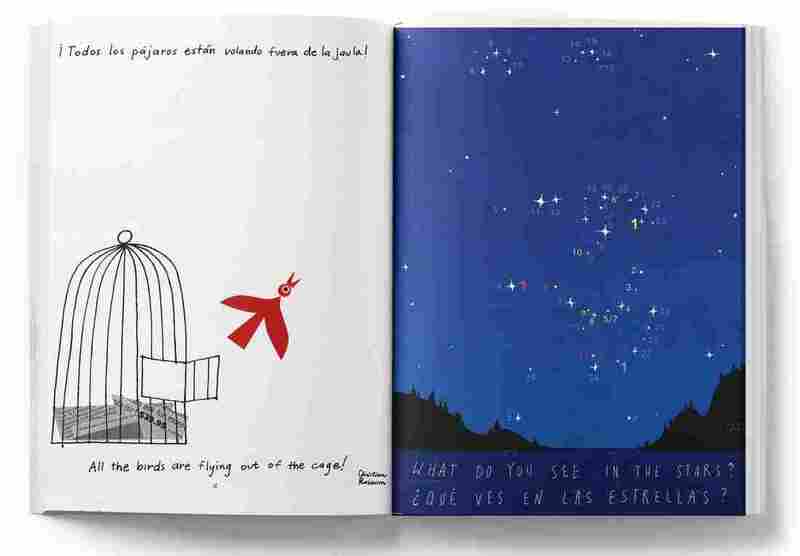 The book aims to offer a creative outlet for migrant children at the border, and spark empathy in children around the country. "What sold me on this project was the fact that these books were actually going to get into the hands of children who are being detained," Robinson says. He hopes the book will help children envision a compassionate world, in which "anything is possible." Robinson remembers using art as an escape when he was a child — his mother, who struggled with addiction, was in and out of prison as he was growing up. "Drawing and creating was a way for me to escape, but it was also a way for me to have some control over my circumstances," he explains. "I couldn't control the world around me, but I could at least control what the world looked like on a piece of paper." To anyone who might scoff at the idea that a coloring book could impact a child's life, Robinson offers his own experience as a counterpoint. "I personally know firsthand the power of creativity and being able to express yourself," he says, "especially in circumstances where you might feel powerless." Eric McDaniel and Reena Advani produced and edited this interview for broadcast. Beth Novey adapted it for the Web.